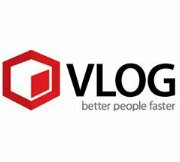 VLOG is a team of professional and ambitious specialists who develop one of the leading IT company. Founded in 2009, initially the company concentrated on the technical support staff outsourcing earning a recognizable brand in the European market. In 2012 the main focus of constantly growing company became IT solutions (consulting, outsourcing, body leasing). Now VLOG company employs several dozen of people operating throughout Poland. The perfect relationship with customers and consultants is the most important for VLOG. Thanks to years of practice and countless concluded projects, we have built a wealth of experience, success and the group of trusted business partners.